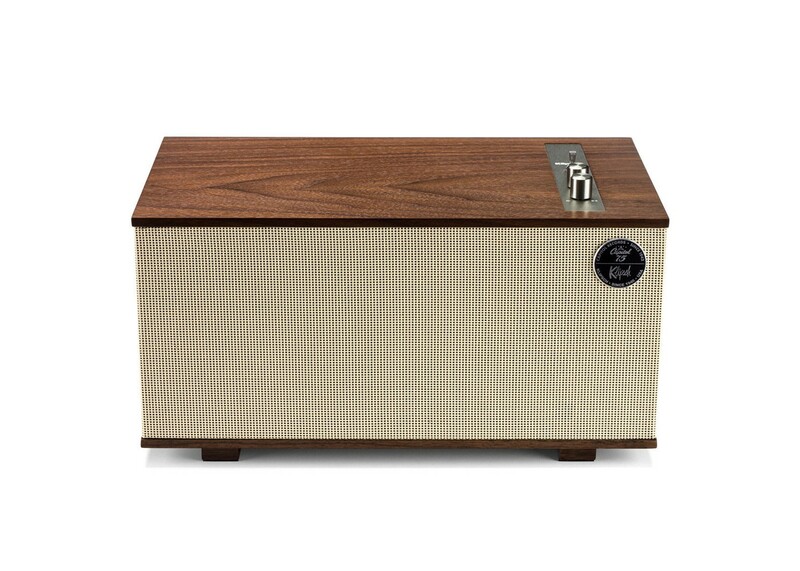 Klipsch and Capitol Records, two iconic voices both celebrating over seven decades of bringing sound to life, partner to honor and pay tribute to the integral role music plays in shaping our lives. Incorporating luxury materials such as real wood veneer and tactile spun copper switches and knobs, The Capitol Three Special Edition tabletop stereo system blends the acoustics and classic design legacy of Paul W. Klipsch with the latest technologies available today. Klipsch and Capitol Records, two iconic voices both celebrating over seven decades of bringing sound to life, partner to honor and pay tribute to the integral role music plays in shaping our lives. Music is timeless, healing, and unites people across cultures. It inspires, drives, and comforts us all. In celebration, Klipsch and Capitol Records will be releasing co-branded Heritage Wireless products featuring mid-century modern design, legendary Klipsch sound, and the latest technologies. Klipsch and Capitol Records — committed to the enduring power of music and the connection it evokes. The Three tabletop stereo system is part of the Klipsch Stream Wireless Multi-Room System, which is an all-encompassing solution for distributing your music throughout your home. Listen to your favorite internet radio stations, streaming services, personal digital music library, and CDs, DVDs, etc. For a list of streaming services supported, please visit www.klipsch.com/stream. Download the Klipsch Stream app (available for iOS or Android), connect The Three to your Wi-Fi network and enjoy. Expand your system to add multiple rooms of audio in your home with other Klipsch Stream Wireless Multi-Room Audio products. The Three includes audio input connections for Wi-Fi (for Klipsch Stream Wireless Multi-Room Audio System), Bluetooth, Analog, 3.5mm miniplug, Phono Pre-Amp, and USB Type B audio. So go ahead, connect your turntable, computer, CD player, smartphone, or tablet and enjoy superior stereo sound from a beautifully crafted tabletop stereo system.